. Published on Thursday, January 31, 2019 . Oh Valentine’s Day, the season of flowers, chocolates and teddy bears you’ll have no idea what to do with come February 15. But don’t get us wrong! Valentine’s Day definitely has a special place in our (sweet) hearts, and if nothing else it offers an excuse to be all cute and mushy with our crushes. Unfortunately, this oh-so-romantic holiday falls just shortly after the hoopla of the winter holidays, landing in a time where our wallets might be a little lighter than we’d like. Luckily, we’ve pulled together a list of lovey-dovey date ideas that range from free to $30, so you can find the perfect outing for you and your valentine. Your date will think you’re a star if you head on over to the Griffith Observatory this Valentine’s Day season. I mean, what better way to spend the most (debatably) romantic day of the year than exploring the cosmos? At $7 for adults or $5 with a student ID for tickets to the observatory show, a trip to outer space might end up being more affordable than one would expect. 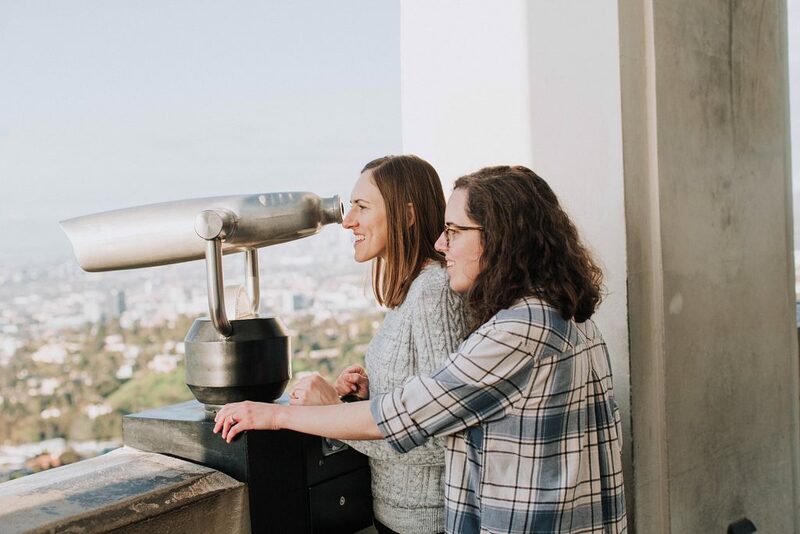 Make a full day of it by enjoying the free access to the observatory grounds and telescopes, because the breathtaking view of Hollywood is definitely not one to miss. This may sound cheesy (pun intended), but sometimes the best date nights are actually nights in. A DIY fondue night is the perfect affordable date for foodies and budding chefs alike. Melt your favorite cheeses (We recommend a cheddar, emmental and gruyere blend), cook up an array of breads, meats and veggies and you’ve got the perfect romantic meal! End the evening with a chocolate dessert fondue with dippers as sweet as you can handle (marshmallows, strawberries, cake cubes, etc. ), or continue the fun with your favorite Netflix movie or board game. Rent an e-scooter and explore L.A. If you haven’t been living under a rock this past year, you’re probably at least vaguely familiar with the latest dockless scooter-share trend. At 15 cents per minute, these electric scooters offer smart and affordable mobility to those daring enough to ride. Users simply find a scooter, download the scooter’s mobile app, connect their credit cards and are good to go! Bird and Lime (The most popular brands in the e-scooter rental biz) can be found in major cities all over the world including (but not limited to) Los Angeles. So if you and your valentine are looking for a cute daytime date, grab some scooters, figure out a scenic route (maybe hit up that trendy coffee spot you’ve been dying to try?) and get riding! A hiking date may just be the “peak” of fun this February 14. These are easy, often free dates that are perfect for a couple trying to embrace quality time this February. And if you’re not a hiking-pro, don’t run away too fast! There are plenty of nature walks and beginner trails all over southern California. For a an aesthetically pleasing hike that is sure to look absolutely gorgeous in photos, check out Crystal Cove Trail in Laguna Beach, CA or Mt. Baldy in Mount Baldy, CA. Does the thought of visiting a museum remind you of a long, tedious elementary school field trip? Well think again. Museums are the new “it” date location, and what better way to get with the trends than on V-day? Picture this: You and your date playfully bantering back and forth over the symbolism in a painting, or giggling together at the self-proclaimed “art critics” who are taking things just a little too seriously. Whatever your speed, there’s no doubt that you’ll find a trip to your local art museum to be a work of art in itself. Make sure to do you research beforehand, because several SoCal museums are either free or offer discounted student tickets. If your valentine is a fellow Bronco, consider checking out one of the many free February 14 events happening right here on campus! The Bronco Events and Activities Team is hosting Vintage Valentine: A Swing Soiree—a ‘20s-themed event featuring the Cal Poly Pomona Jazz Band, mocktails and swing dance lessons. If you and your date are romantic comedy enthusiasts (and let’s just keep it real—who isn’t), stop by Flick & Float at the BRIC for a free screening of “50 First Dates” to enjoy while lounging in a hammock or inflatable tube. But wait, there’s more! Sometimes a busy work and class schedule may make scheduling a big date night impossible, so instead head on over to the Game Rooms Etc. (Bldg. 35-1110) for free ice cream and their “Break The Ice” Cream Social! What’s your dream V-day date? Let us know using the hashtag #CampusCropChat on Facebook, Twitter and Instagram. Don’t forget to follow us on Snapchat @asicpp!